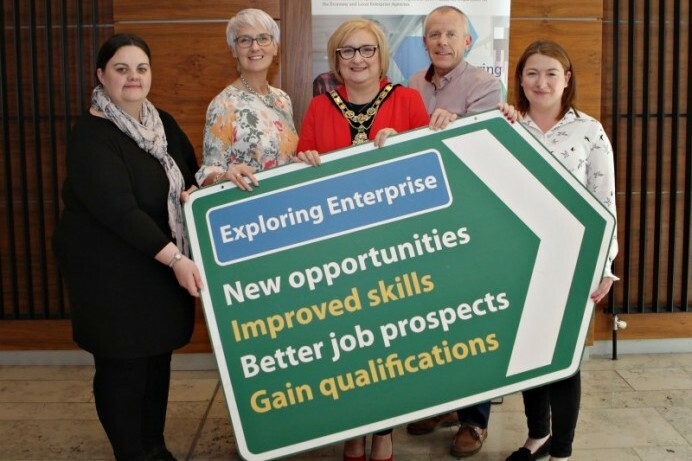 The Exploring Enterprise Programme, delivered under the European Social fund (ESF) Programme 2014-2020, will be managed by Enterprise Northern Ireland and rolled out locally by Causeway Enterprise Agency and Roe Valley Enterprises Ltd. The Exploring Enterprise Programme is a free special support initiative aimed at helping unemployed or economically inactive individuals improve their employment prospects as well as exploring potential self-employment opportunities. This is an Enterprise Northern Ireland initiative which is part funded through the Northern Ireland European Social Fund Programme 2014 – 2020, the Department for the Economy, Local Enterprise Agencies and Causeway Coast and Glens Borough Council. 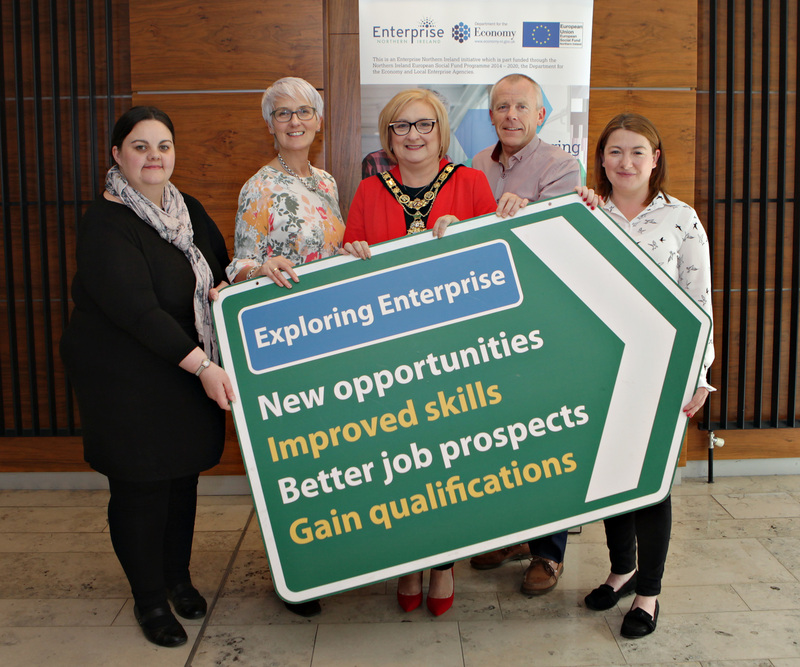 For more information on the Exploring Enterprise Programme please contact Causeway Enterprise Agency on 028 7035 6318 or Roe Valley Enterprises Ltd on 028 7776 2323. The Mayor of Causeway Coast and Glens Borough Council, Councillor Brenda Chivers pictured with Joanne Millar, Roe Valley Enterprises, Anna Logan, Causeway Enterprise Agency, Martin Clarke, Causeway Coast and Glens Borough Council and Shirelle Mc Ivor, Enterprise NI at the launch of the Exploring Enterprise Programme in Cloonavin.